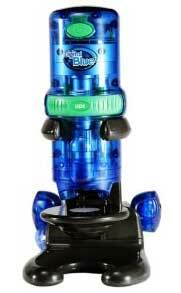 When it comes to computer compatible units, the Digital Blue QX3 microscope holds its own. This kids microscope lets you zoom in and get up close details of the world around you, while the ability to display findings on the computer makes it fun for the whole family. Rather than having kids squint into an eyepiece, this is a true digital microscope in that it projects the images onto your computer. This can make using it a more fun, engaging group activity for young learners. One thing that makes this Digital Blue microscope so much fun is that the software allows you to paint and draw on the images. We love it when art and science mesh, so this little unit does a great job of fostering both curiosity and creativity! The big selling point of this unit is that it can capture microscopic images and send them to the user’s computer. From there, users can magnify (up to 200x) and manipulate the images to their heart's content. Drawing and paint tools built into the software help to create unique, custom images. They can even use it to make time-lapse movies of specimens. Of course none of these options are very impressive if the image quality is poor. Fortunately we were not disappointed here, as the images were surprisingly crisp and sharp for what is essentially a toy. Sure, you're not going to get Zeiss microscope quality contrast, but it's certainly decent enough to engage a young mind. The QX3 doesn't come with a lot of additional features, but it does include software and a USB connection capability. This makes it very easy so easy to set up that it's virtually a plug and play device. So ordinary items around the house can be enlarged to extraordinary magnitudes, letting scientists of all ages get a closer look at the world that they live in. While most people are satisfied with how this microscope functions, no unit is perfect and this one has its issues. Some users complain that the image sensor is very loud, and that noise from it can be very distracting. We found it to be a little noisy, but certainly not a deal breaker. The focus is also a little sensitive when on the highest power, so less patient users and younger kids may become very frustrated when trying to really zoom in. Using the highest magnification isn’t impossible, but it may be a challenge for some. Like most digital units, the biggest complaints that the QX3 microscope receives have to do with the software. The software automatically sets the computer screen resolution to a very low setting, and doesn't restore the original settings once the user is done. Users must either reset the resolution themselves, or download an additional program to resolve the problem. 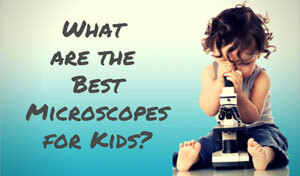 The QX3 microscope is fun to use and can help budding scientists expand their horizons. It's a simple unit that does not take long to master, so once the user gets the hang of it, the possibilities are endless. In addition to making microscopic exploration fun, the included software can be used in a multitude of creative applications. Kids can paint and draw on their images to send to friends, or create a short time-lapse movie. We really liked how this microscope allows curious minds to blur the line between art and science. 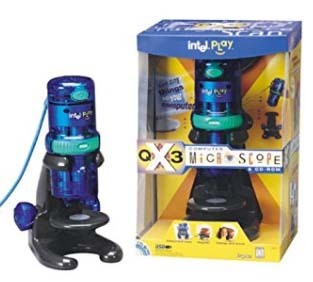 This one is a little more expensive than other kids microscopes, and it does have its quirks. Yet we feel that users of the QX3 will find lots of fun and potential at their fingertips once they resolve some of the minute issues. 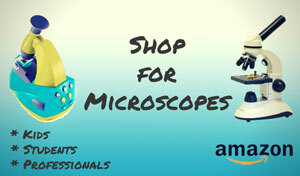 To quote one other review ""This digital microscope is probably the best value for ANY microscopist, child or adult. 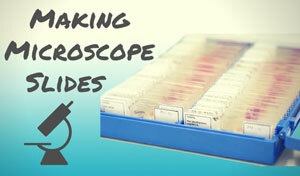 This scope does more than others 10X its price that are marketed towaards the scientific community." We couldn't have said it better ourselves. 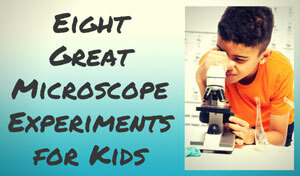 Recommended for: This is a fun unit that's intended for the home scientist. Kids of all ages (mainly 8 and up) and curious adults will enjoy its versatility and ease of use. Keep in mind however that this is still just a toy, so more advanced users will probably be disappointed with it. The Digital Blue QX3 microsope can be affordably purchased from Amazon.